This photo was taken in 1858. 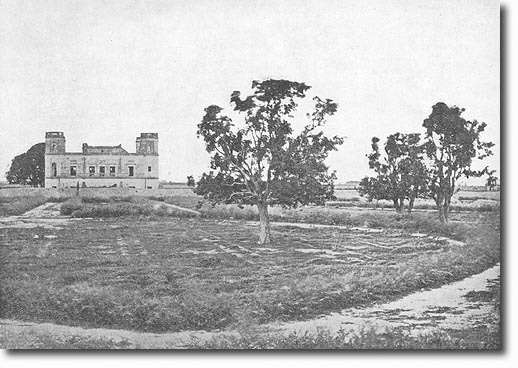 It shows the area at Alam Bagh where the British army camped for the relief of Lucknow. The building in the background is Bara Dari.